Joplin, Mo. 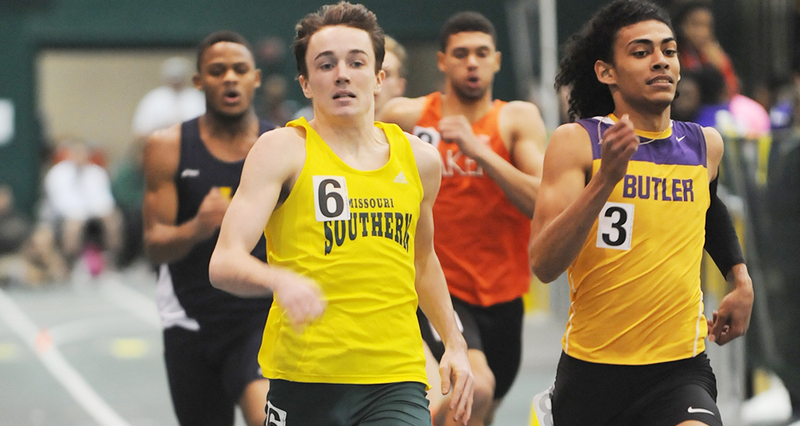 — Missouri Southern junior track and field student-athlete Sam Kohrs has been selected to attend the NCAA Student-Athlete Leadership Forum it was announced recently. Kohrs, a native of St. Charles, Mo., is in his third season with the Lions and has been a mainstay in the middle-distance races for Southern. He is one of three MIAA student-athletes from the MIAA that were selected for this honor, joining others from Central Oklahoma and Washburn. The 2016-17 NCAA Student-Athlete Leadership Forum will take place Nov. 10-13, 2016 in Baltimore. The NCAA Student-Athlete Leadership Forum engages a diverse and dynamic representation of student-athletes, coaches, faculty and administrators. Student-athletes selected to attend Leadership Forum return to campus with invaluable leadership skills, the experience of exploring the relationship between personal values, core beliefs and behavioral styles, and a thorough understanding of the NCAA as a whole, the different divisional perspectives and the valuable role of Student-Athlete Advisory Committees (SAAC). Currently, each Division I and Division II conference office selects student-athletes from among their active member schools and an administrator from the conference office, to represent their conference at the Leadership Forum. For Division III, the Leadership Forum is open to all institutions in an identified region based on a first-come, first-served basis in the eligible region. Each eligible institution can send up to two student-athletes and one administrator. NextDon’t miss ITS Friday event on Oct. 7!